Winter is good time to prune the fruit trees. 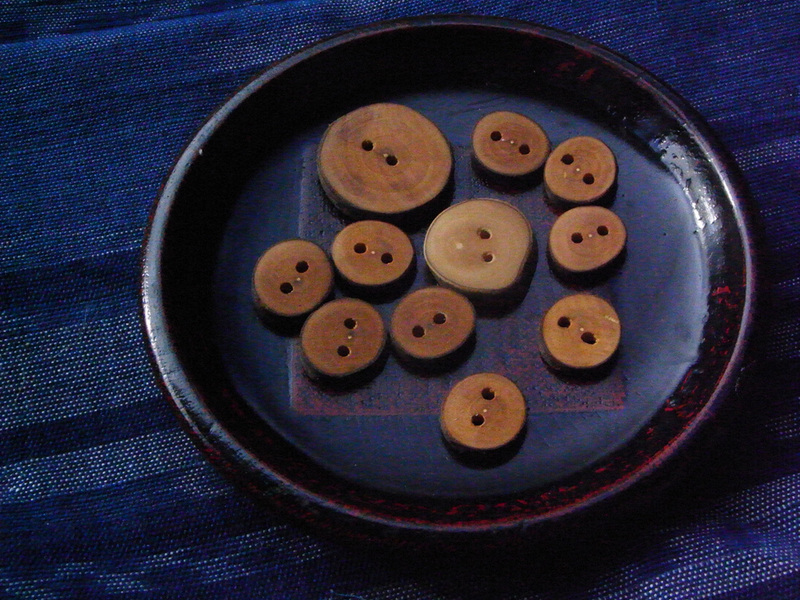 Hand-made bottons of plum tree by Lluís. 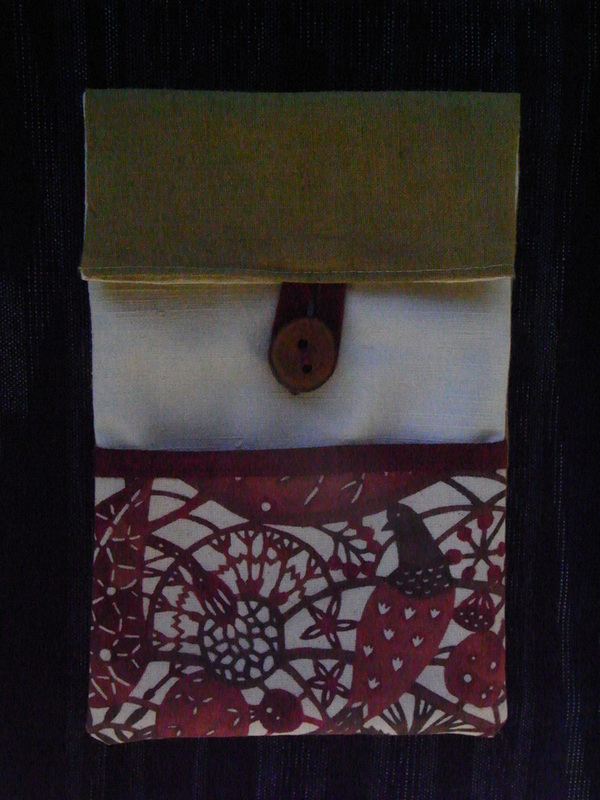 Small bag for sketch book, a book, glasses, mobile etc to take always with you. 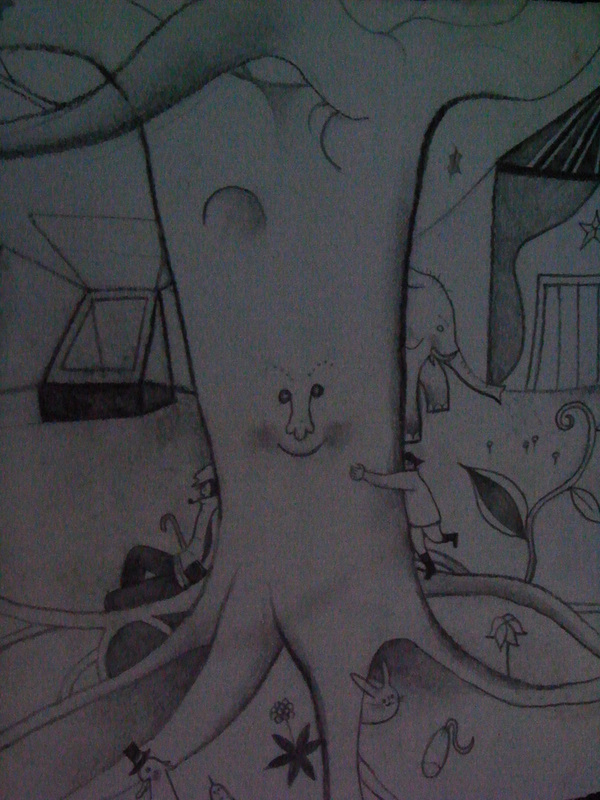 My first drawing of 2013 by charcoal, pencil and pen.